The Youth I.D.E.A.S. 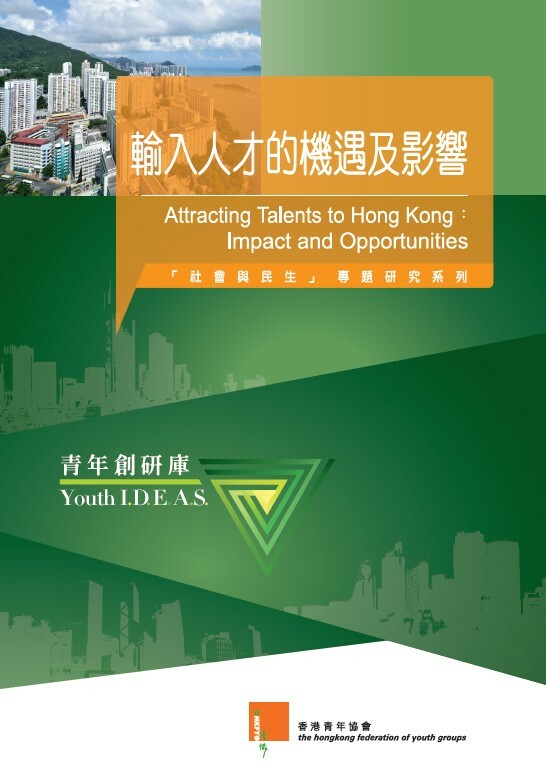 has released its sixth study on “Attracting Talents to Hong Kong: Impact and Opportunities”. Data gathered from 520 young respondents found that the average score for the level of support of attracting talents to Hong Kong is 5.8 on the scale of 0 to 10. Young respondents reveal that talent attraction can promote the development of new industries in Hong Kong with an average score of 6.1 and enhance the quality of Hong Kong’s human capital with an average score of 6.0. On the other side, some express worries on the social issues raised by talent attraction, including a strain on the resources, high price index, a less focus on nurturing local talents and a threat to the job prospects. The average score are 6.1, 6.1, 6.0 and 5.7 accordingly.